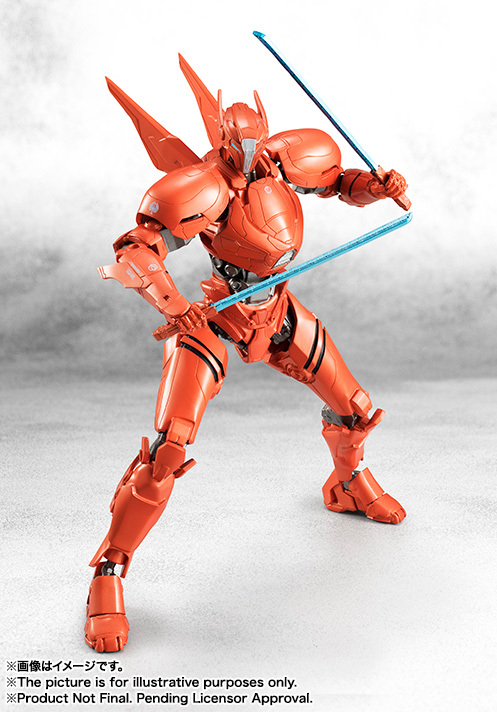 Tamashii Nations is a collection of umbrella brands from Bandai consisting of high quality figures. 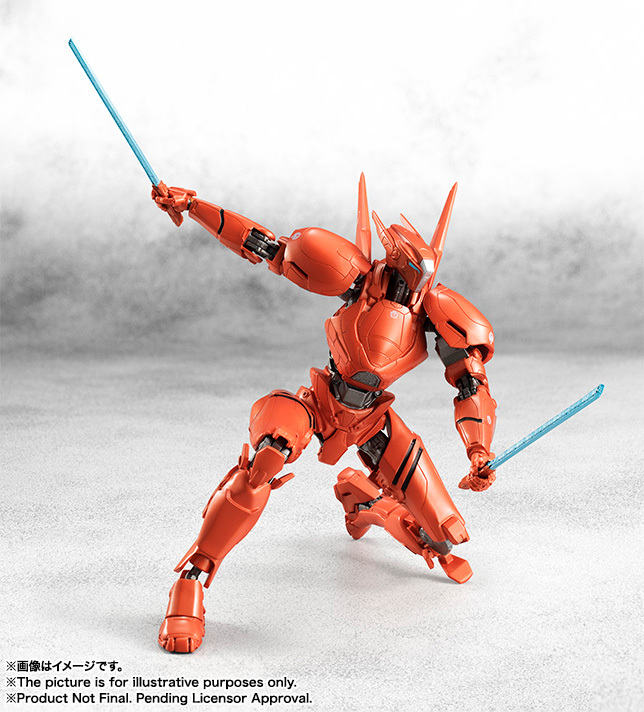 The name Tamashii (魂, "Soul", "Spirit") comes from the fact that the manufactures poured their soul and heart in their products. 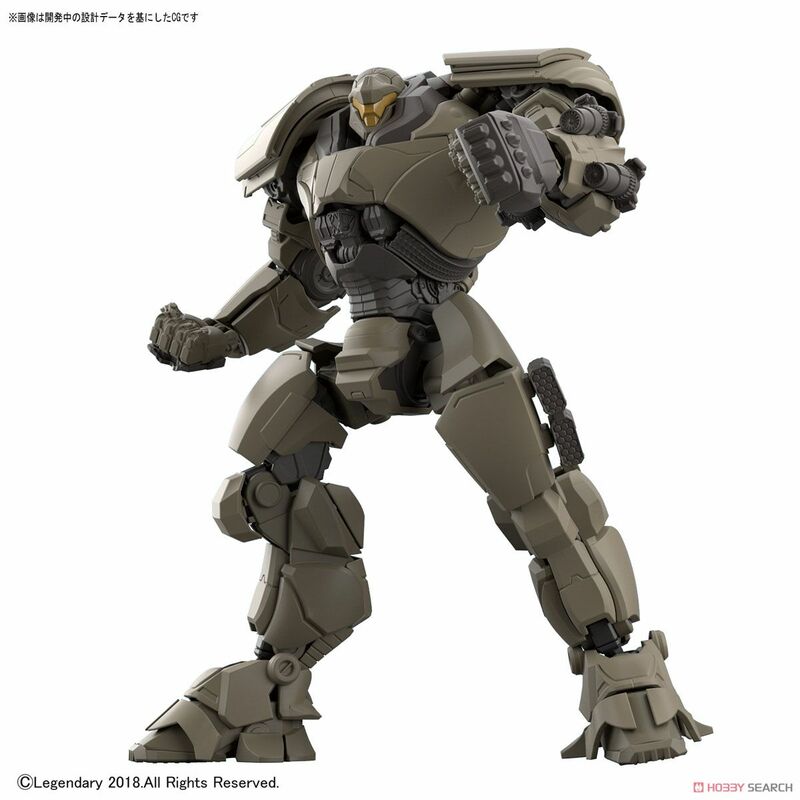 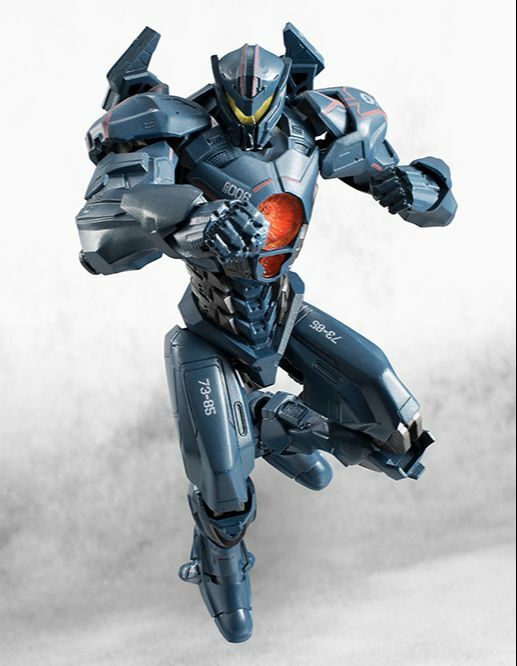 While there are numerous brands and licenses this section is for all Pacific Rim figures made by Tamashii/Bandai, it includes The Robot Spirits, Sofvi Spirits, Soul Of Chogokin, Bandai Hobby, and other brands that will feature Pacific Rim toys. 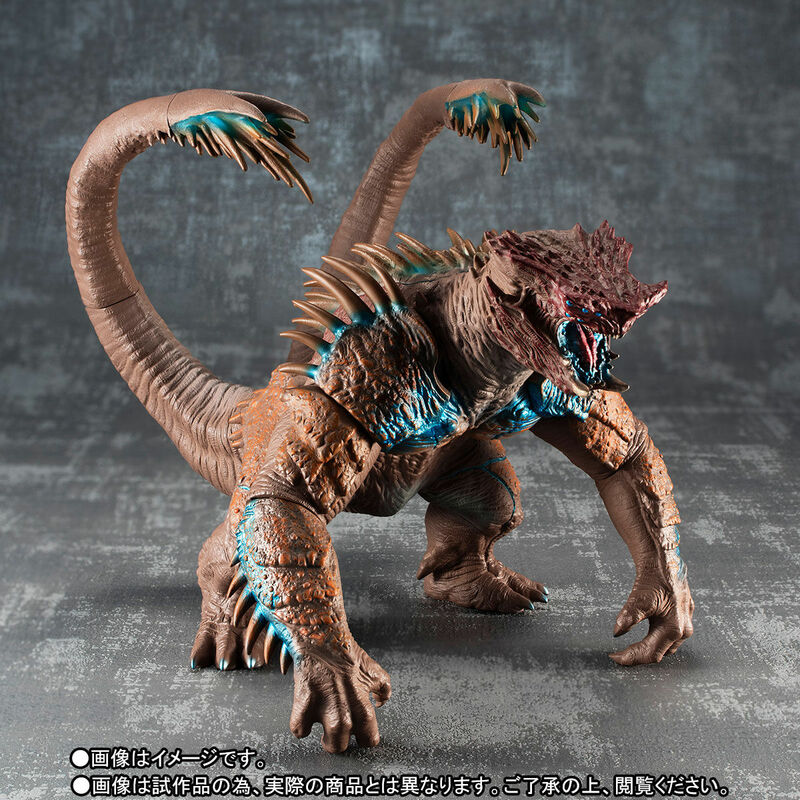 This figure will be released Feb 2018, it stands 17cm tall. 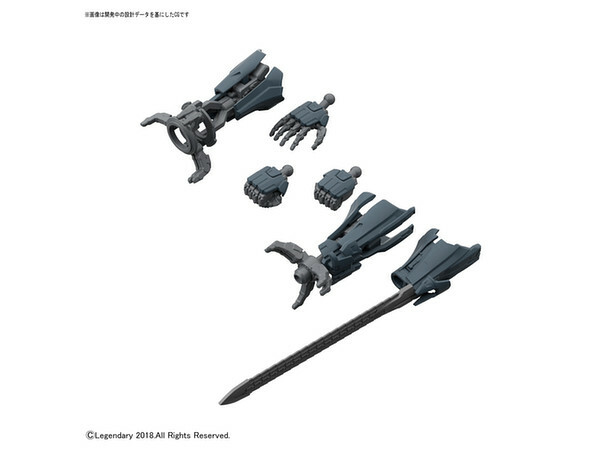 It features multiple points of articulation, replacement hands, Chain Sword, and Gravity Sling. 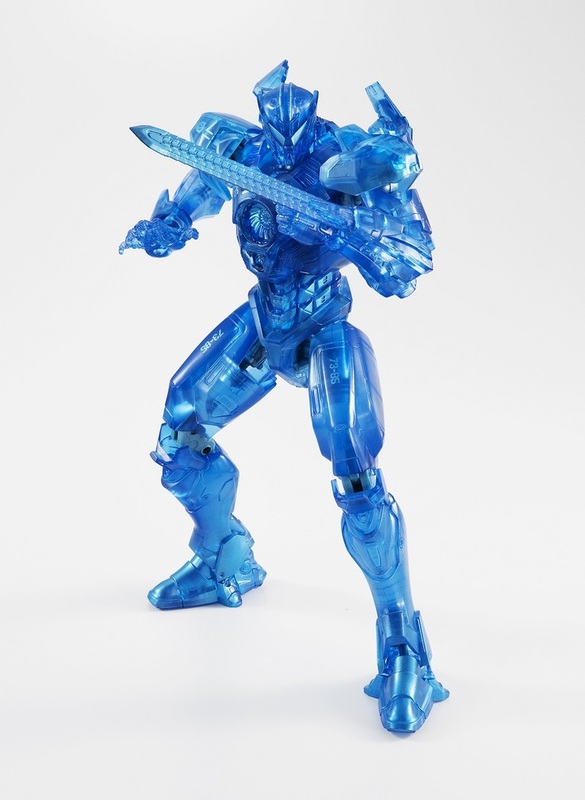 There is also a 7Net ​Exclusive Blue Print Version (below) which is the same figure just molded in a clear blue plastic. 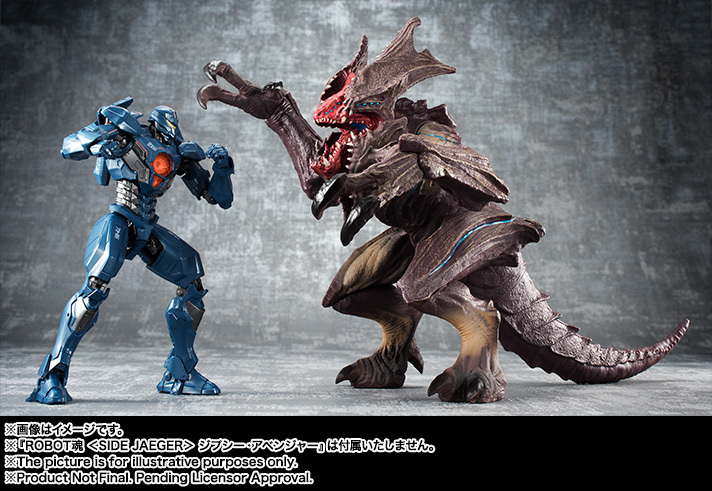 It features the same accessories and articulation. 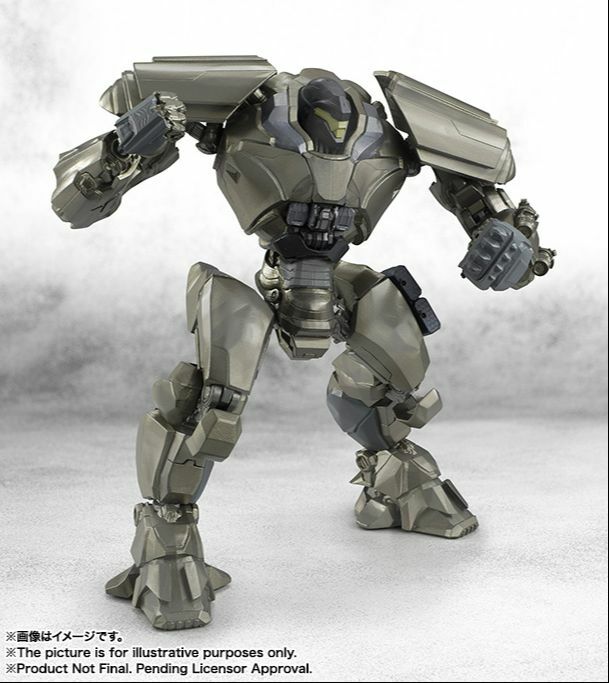 This figure will be released Feb 2018, it stands 15cm tall. 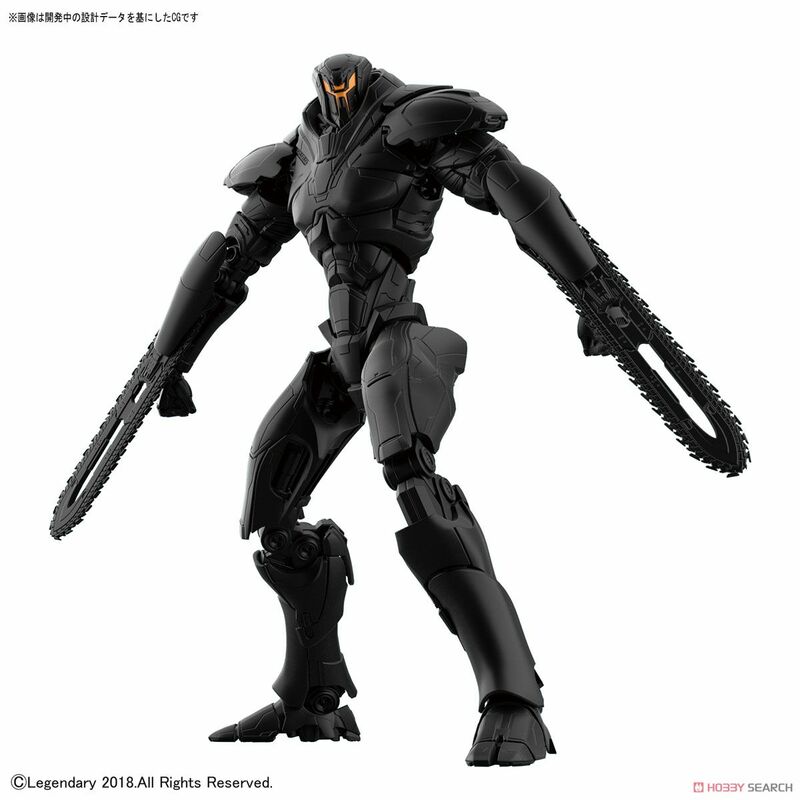 It features multiple points of articulation, and gun parts (for chest and back). 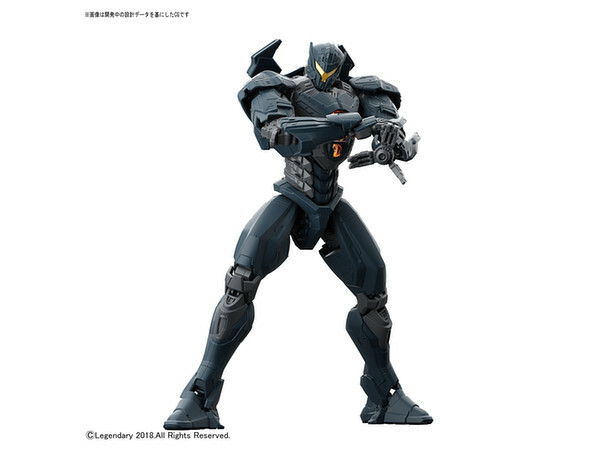 This figure will be released Feb 2018, it stands 15.5cm tall. 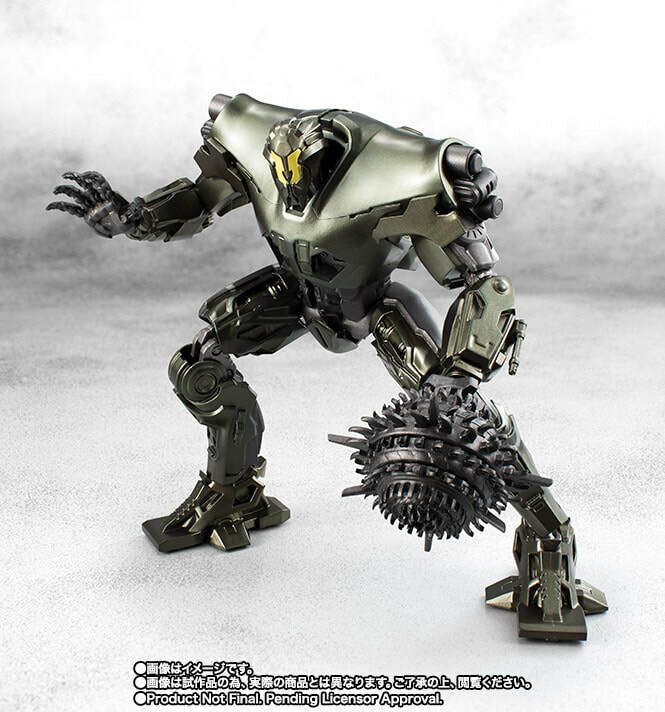 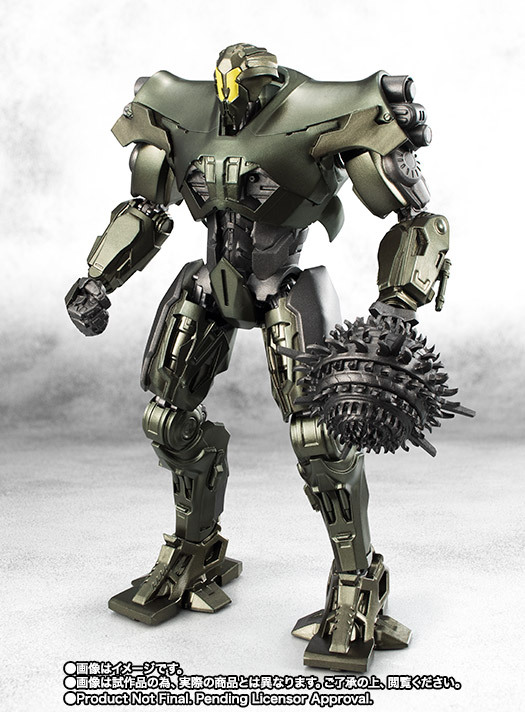 It features multiple points of articulation, replacement hand and Scrapper mini robot figure. 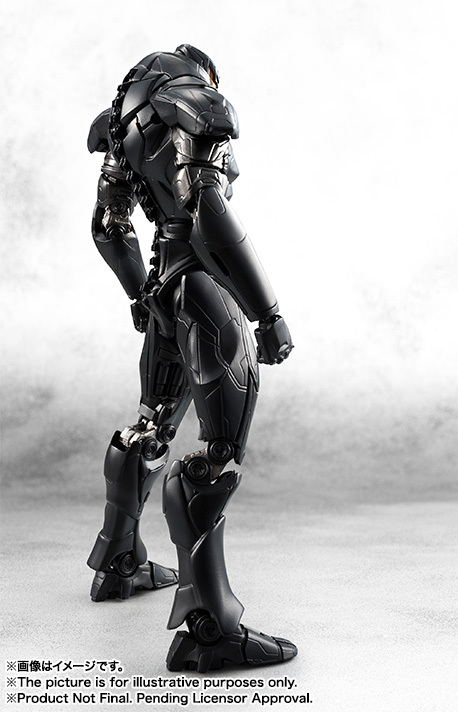 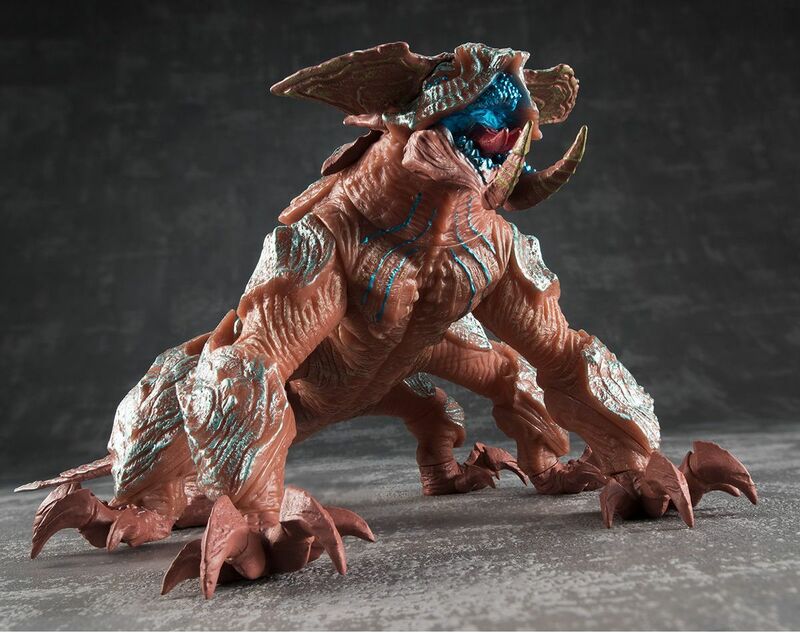 This figure is a Tamashii Web Shop exclusive but will be available from other retailers (US). 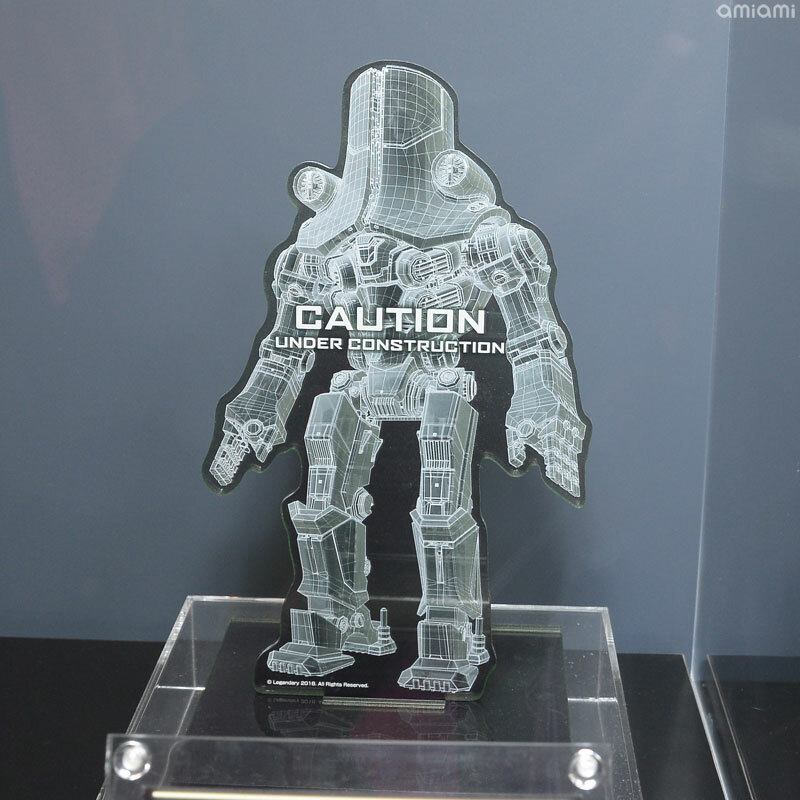 This figure will be released March 2018, it stands 16cm tall. 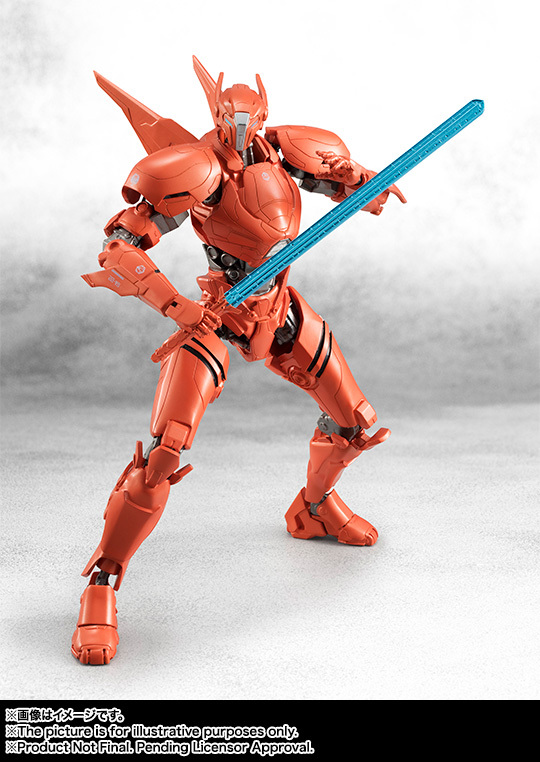 It features multiple points of articulation, replacement hands, and two swords. 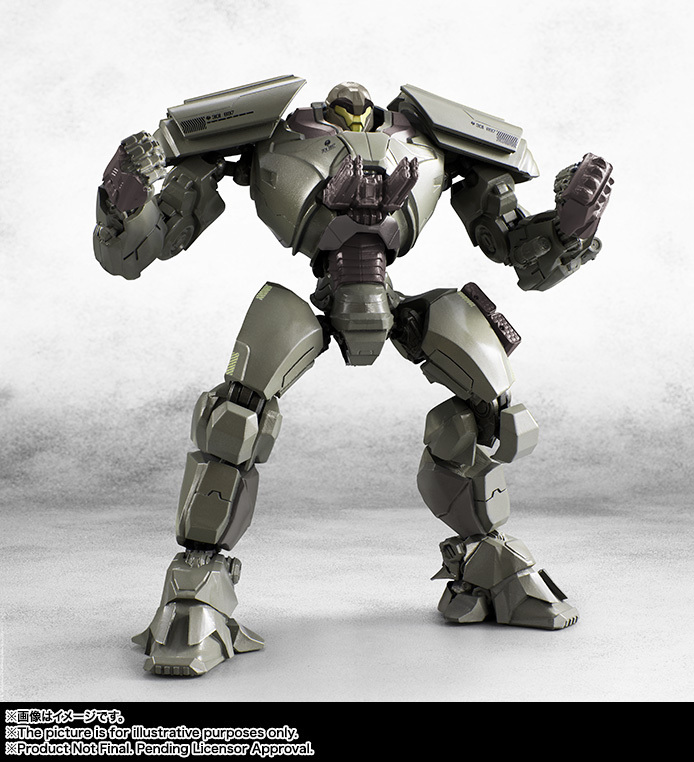 ​This figure will be released March 2018, it stands 18cm tall. 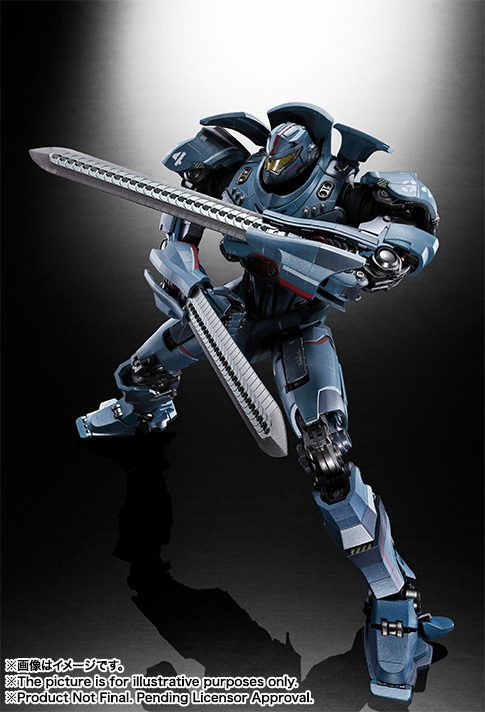 It features multiple points of articulation, replacement hands, and two energy chainsaws. 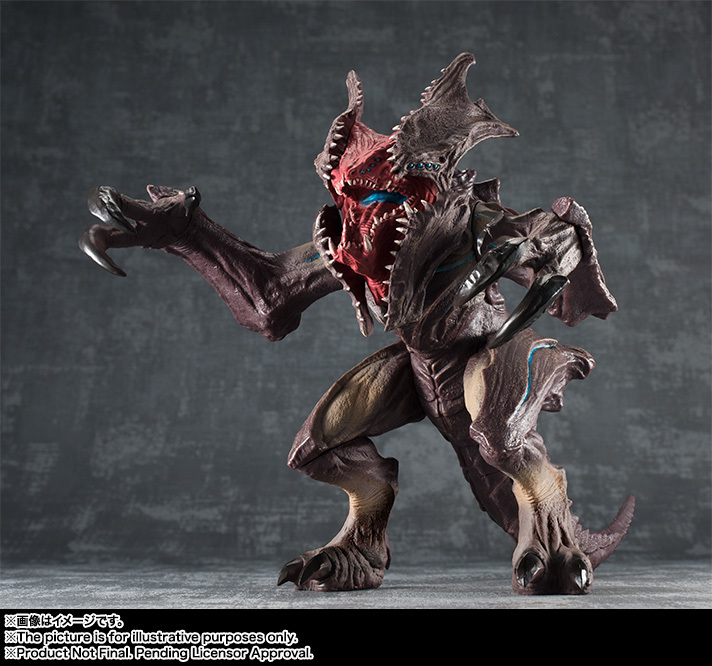 This figure will be released March 2018, it stands 16cm tall. 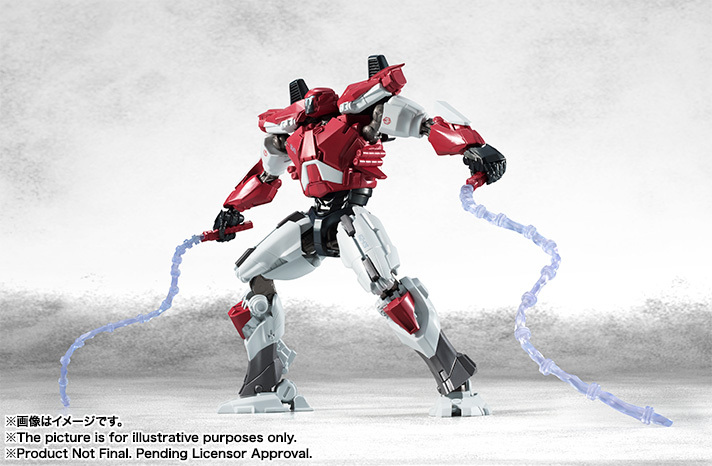 It features multiple points of articulation, replacement hands, and two whip weapons. 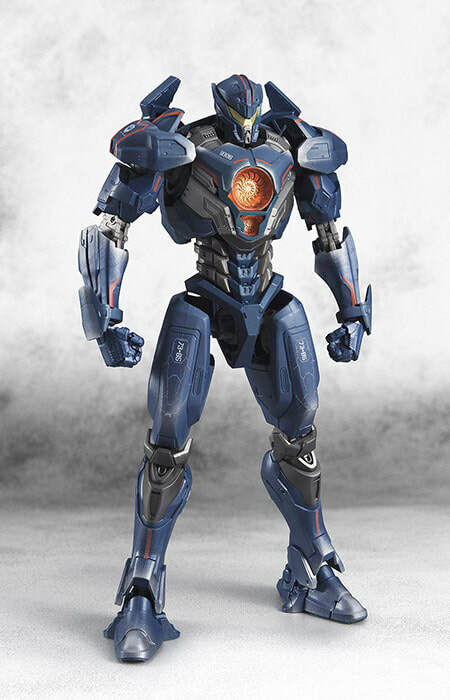 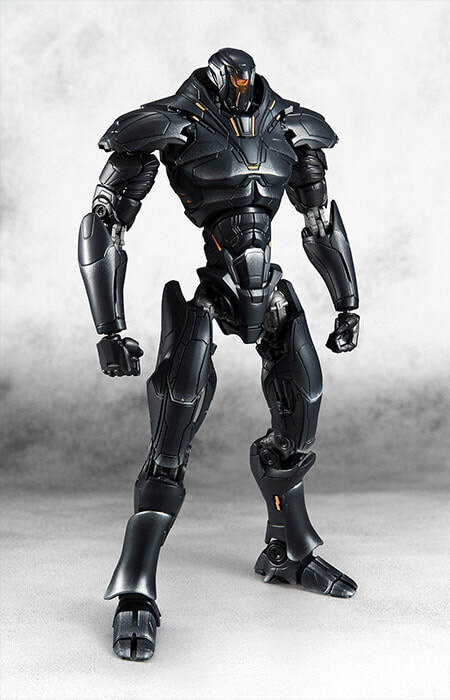 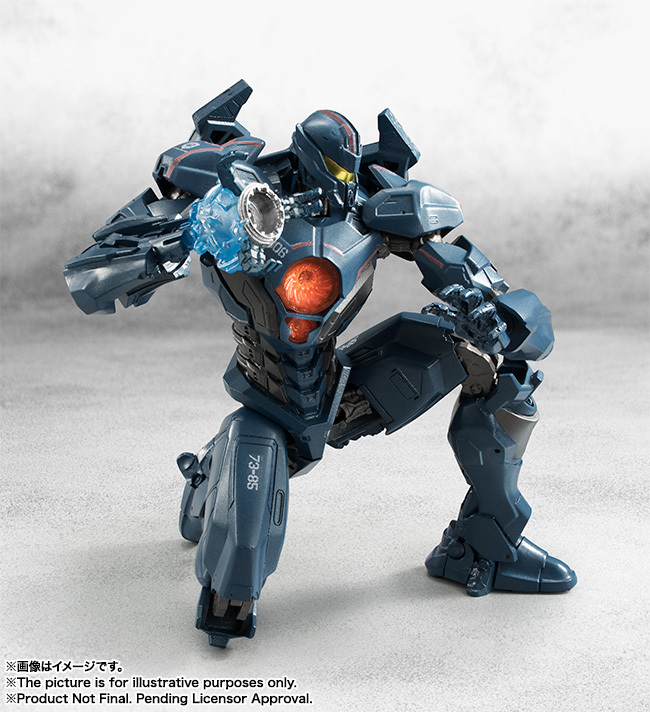 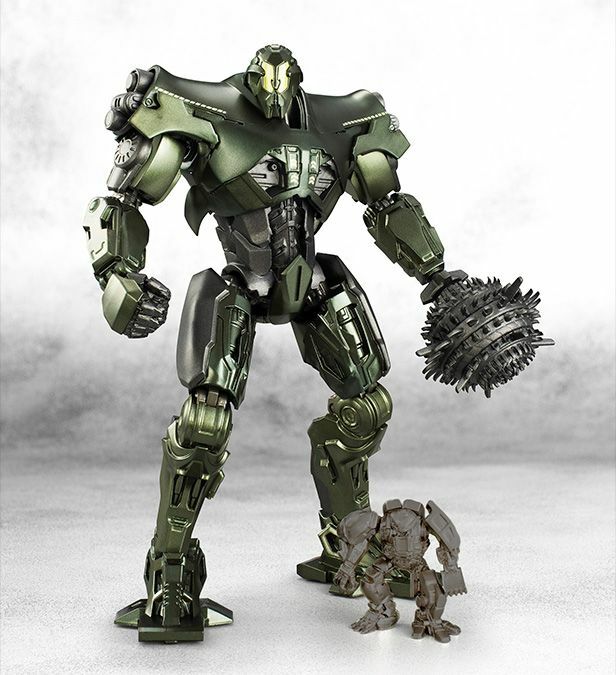 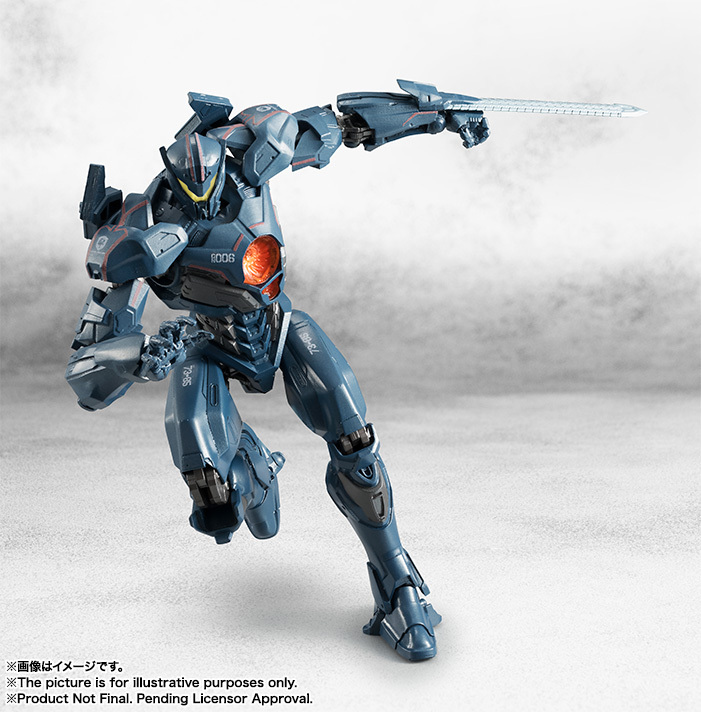 ​Leaping straight off the screen and into your hands comes this event exclusive 2-pack featuring the Jaegers Gipsy Avenger and Obsidian Fury from Pacific Rim: Uprising! 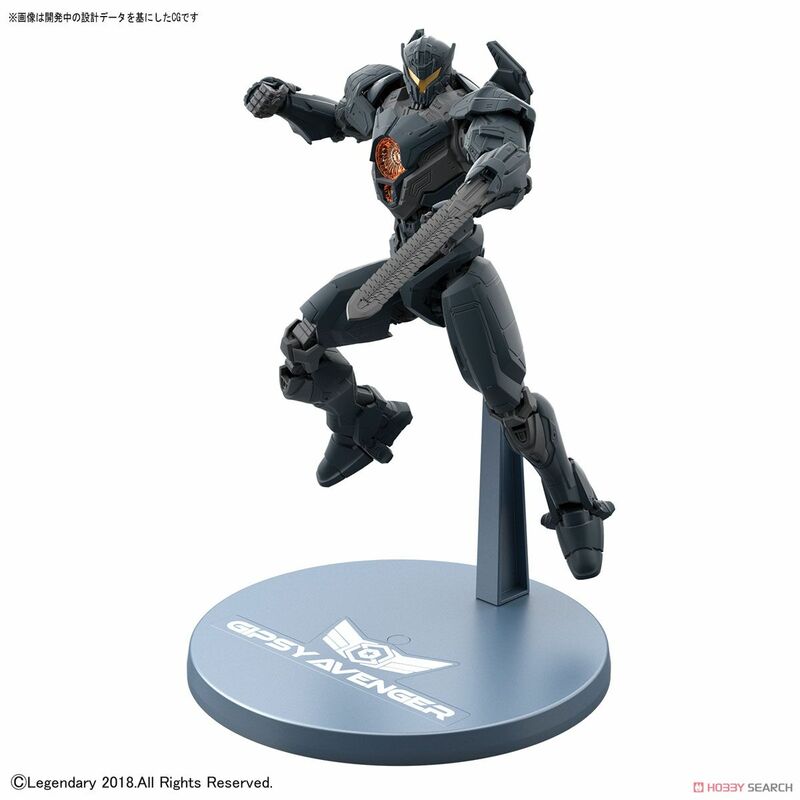 Both Jaegers differ from their individual releases with additional markings and painted details, including Gipsy Avenger’s thigh markings and Obsidian Fury’s orange lights. 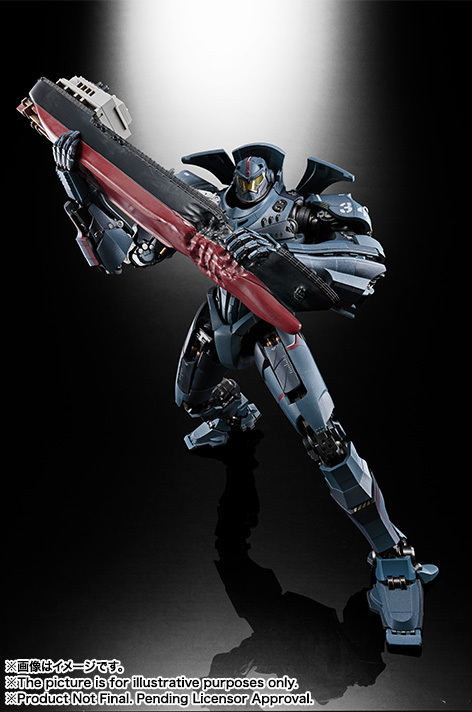 The weapons for both figures also feature additional paint more faithfully replicating the Siberia battle scene from the film. 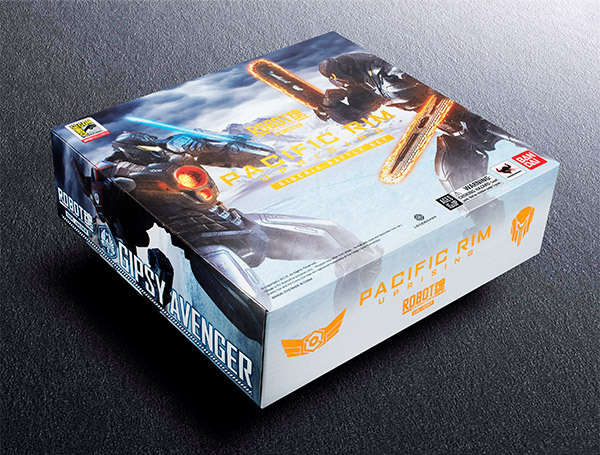 Both Jaegers are packed in battle poses, and the inner box art depicts the Siberian landscape. 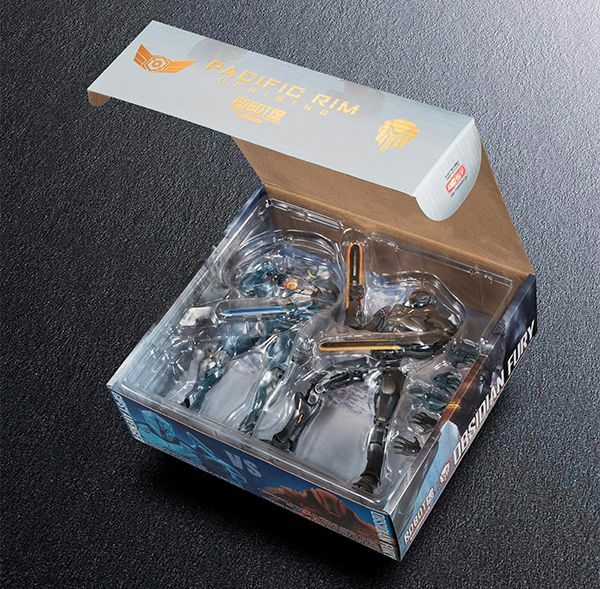 The outer box features a special metallic finish and foil-embossed logos, making this a one-of-a-kind collectors item for any Pacific Rim fan! 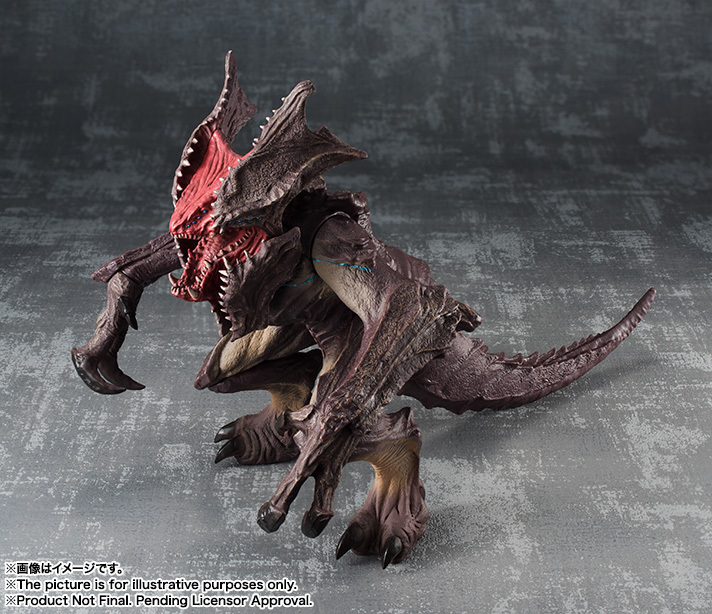 This figure was released Feb 2018, it stands 20cm tall. 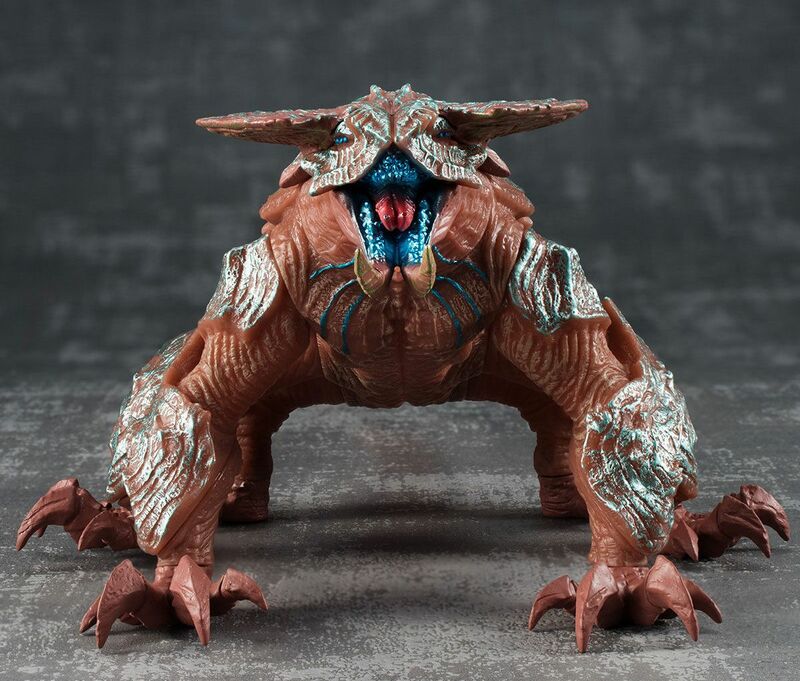 It features limited articulation. 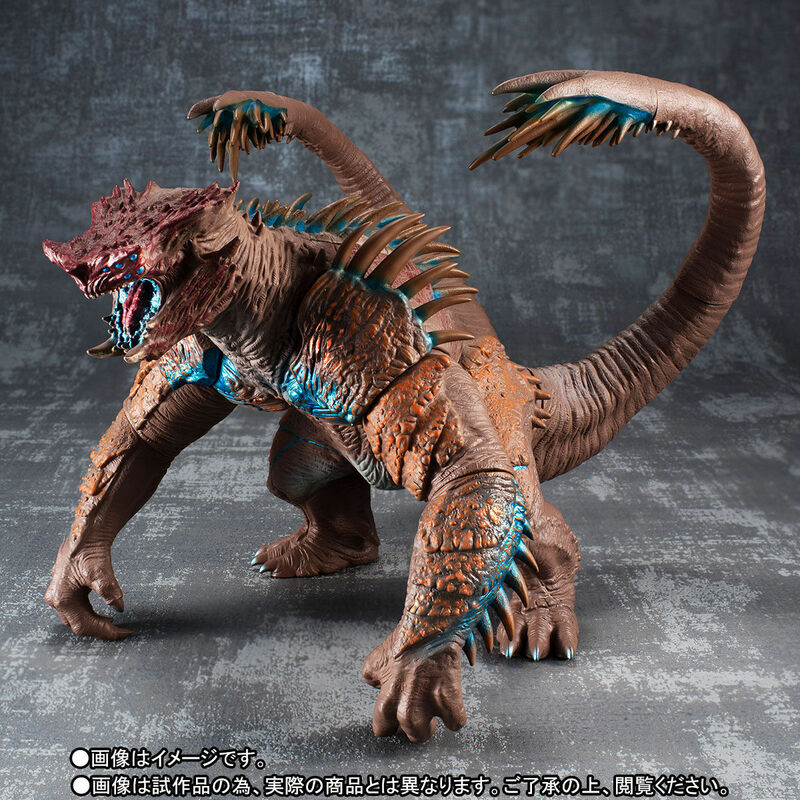 This figure will be released Aug 2018, it stands 14cm tall and is 23cm in length. 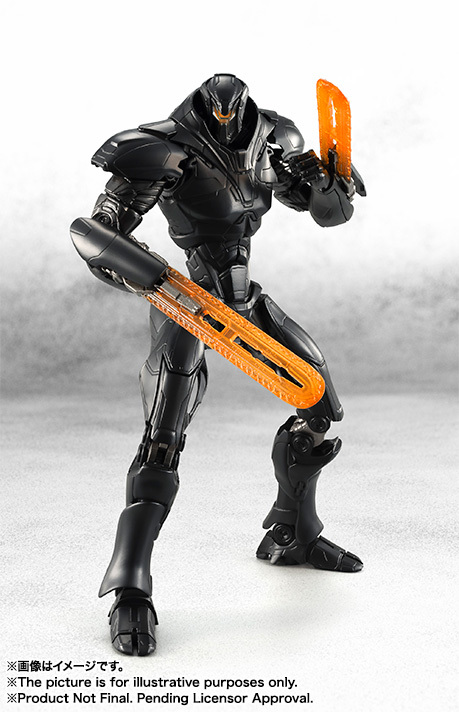 It features limited articulation. 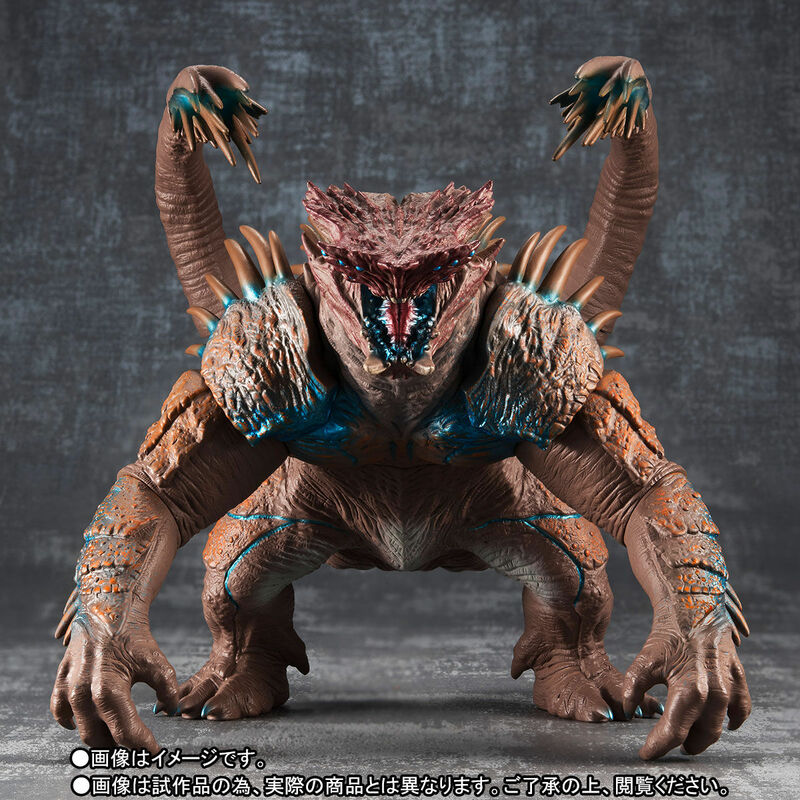 This figure will be released Aug 2018, it stands 11cm tall and is 28cm in length. 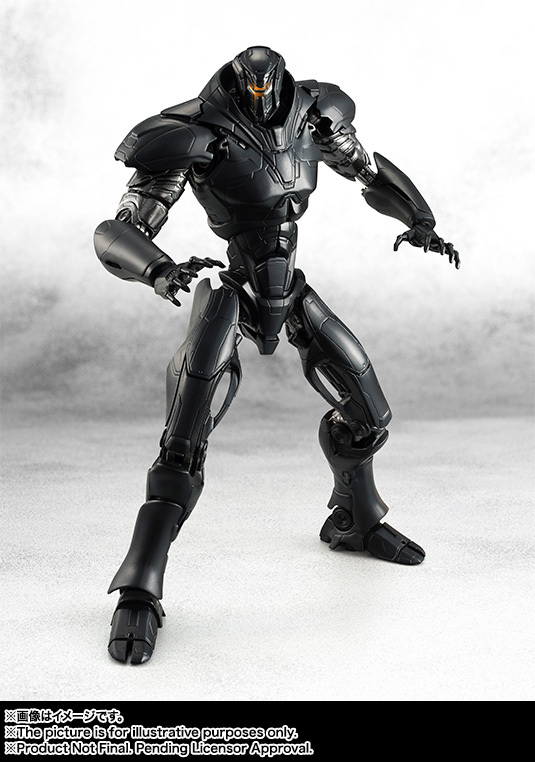 It features limited articulation. 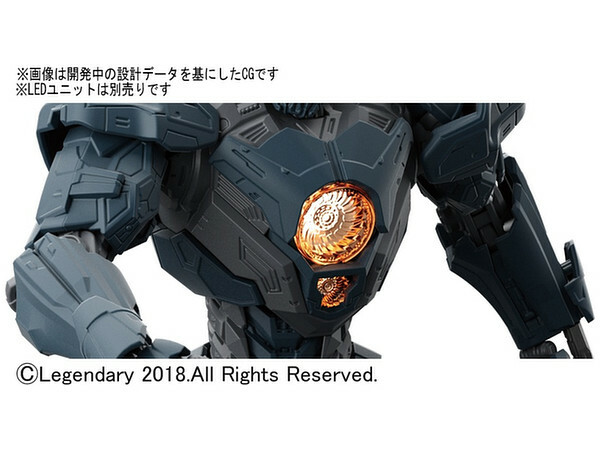 This figure will be released Feb 2018, it stands 23cm tall. 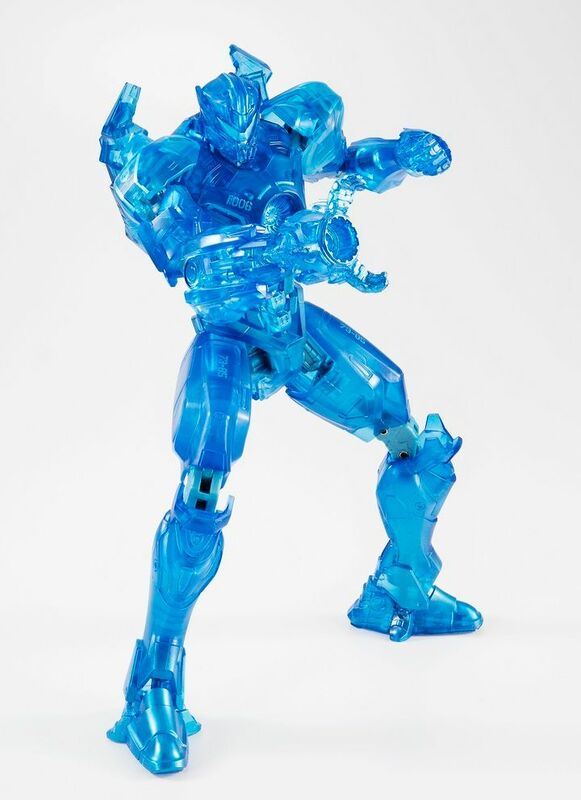 It features replacement hands, multiple chain swords, plasma cannons, ship, and stand, it also has a light up feature (plasma cannon, chest, and eyes). 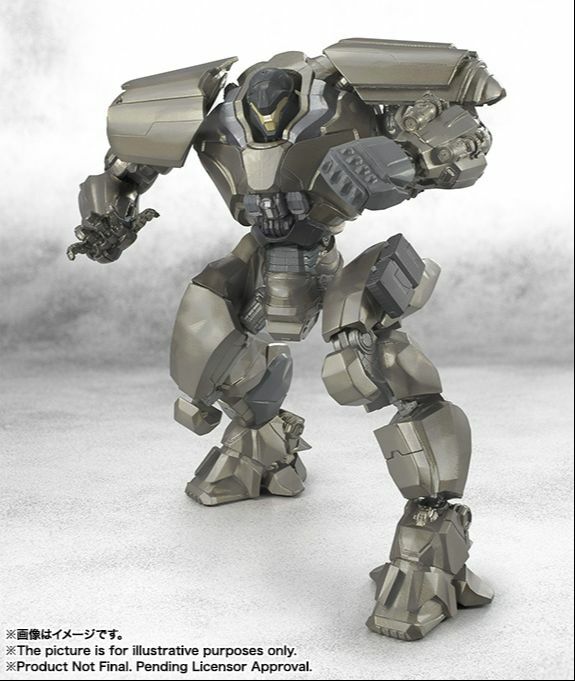 It has multiple points of articulation and features die-cast parts. 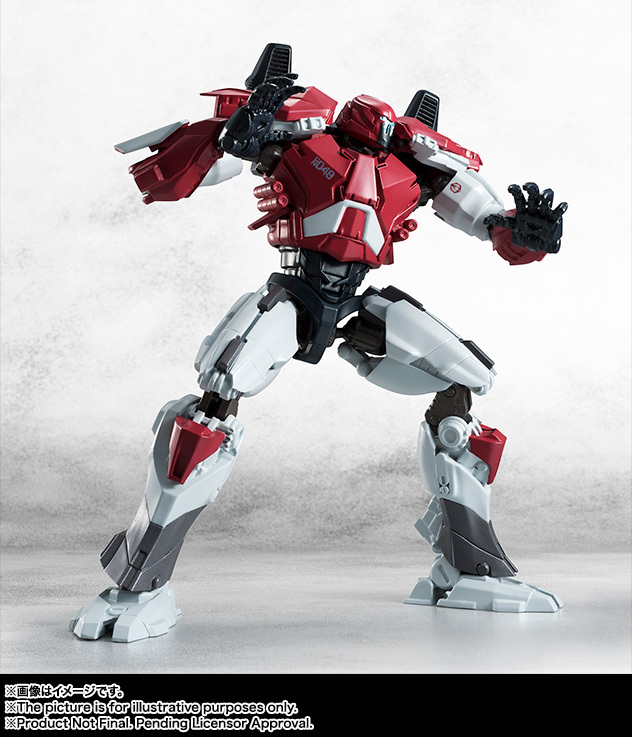 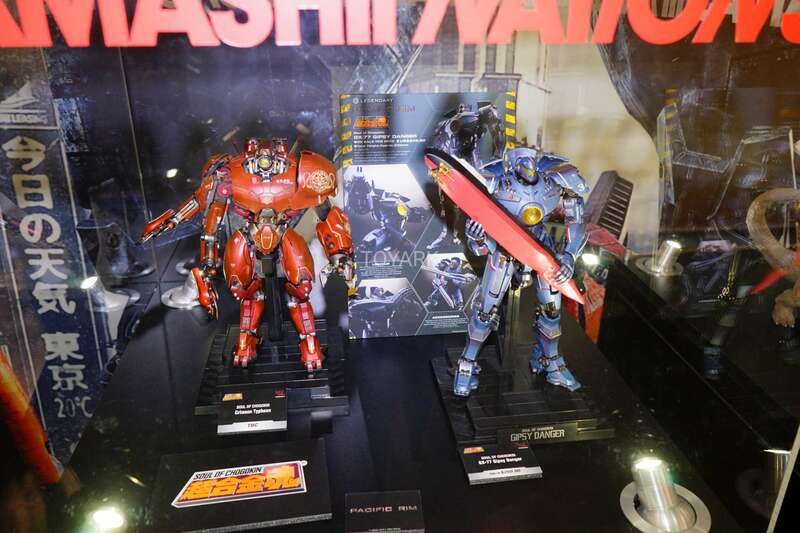 Three more figures have been teased Crimson Typhoon, Cherno Alpha, and Striker Eureka. 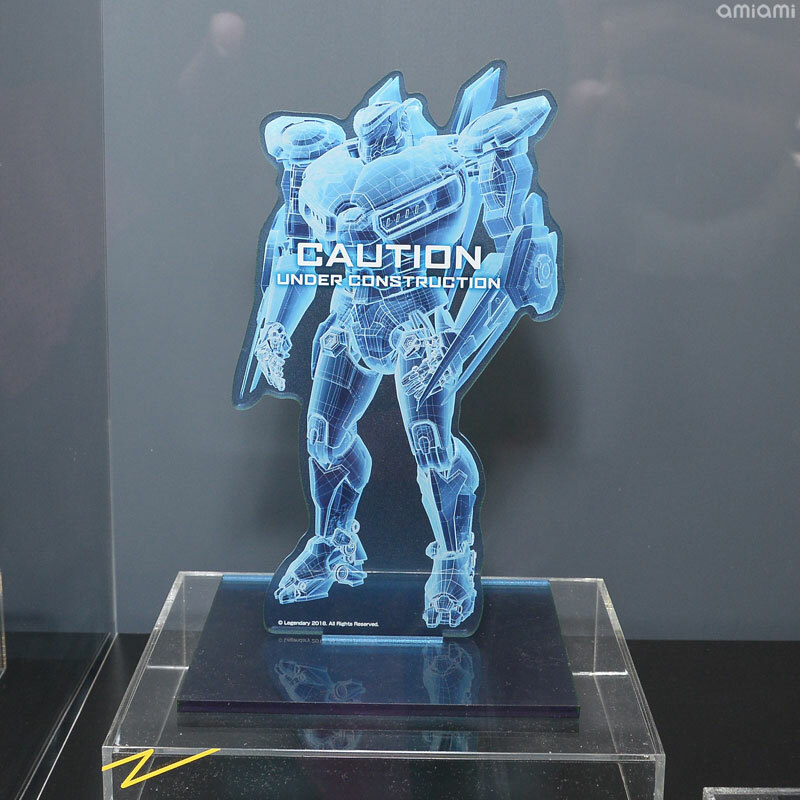 Only Crimson Typhoon was shown yet. 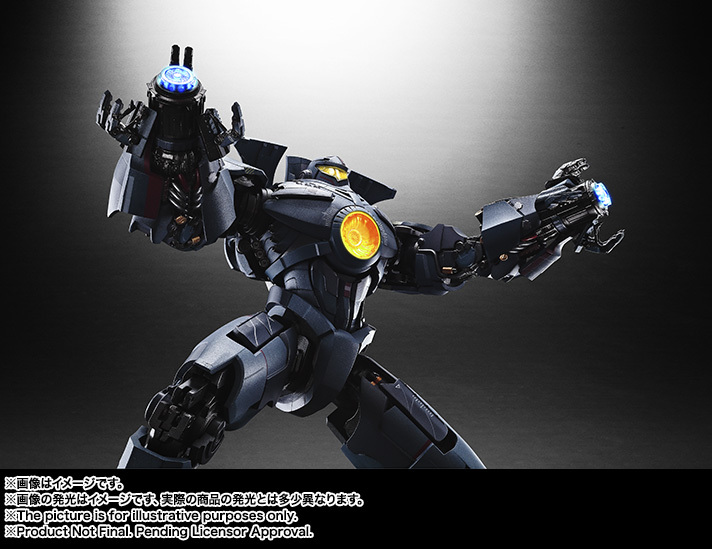 Gipsy Avenger in two versions (regular, and deluxe), Bracer Phoenix, and Obsidian Fury. 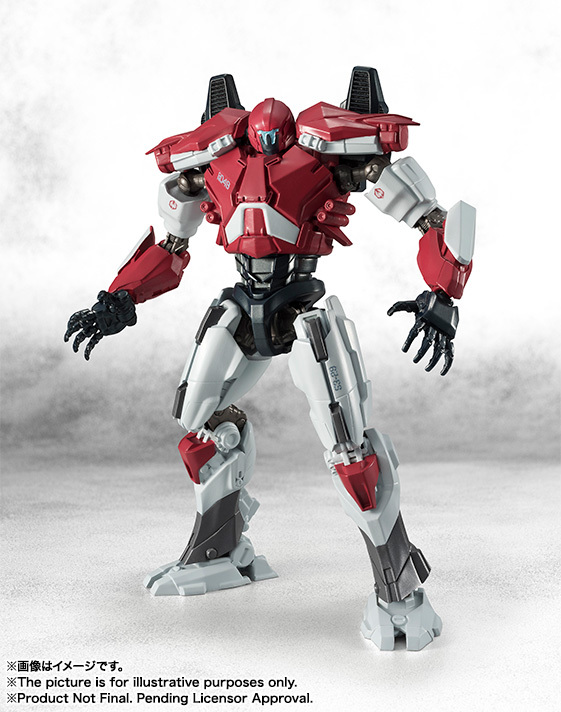 All have multiple points of articulation, come with accessories, and decals. 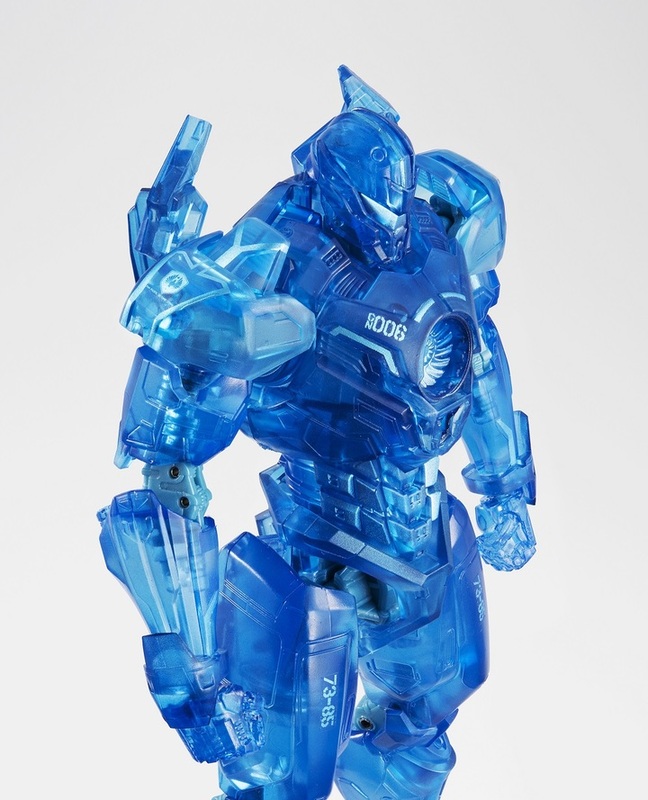 The deluxe version of Gipsy Avenger also comes with a light up unit and base (the light up unit will be sold separately as well). 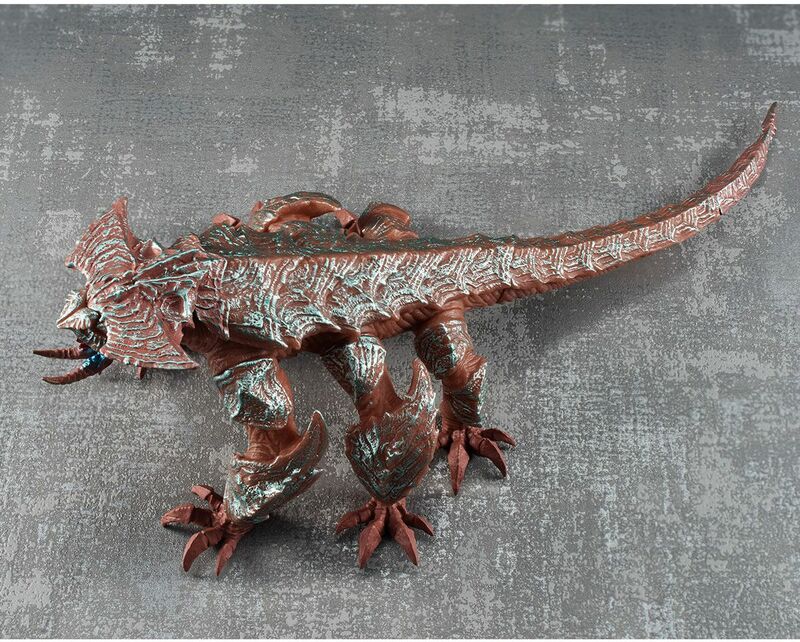 These stand approx 6 inches tall and will be released March 2018.